Take THAT Darwin! Natural selection doesn't win today!! Honestly, fursuits give me the hee-bee-jee-bees, I'll go with just ears and a tail any day over one. I used to think I really wanted one but now I'm not so sure. I think the furthest I'd go these days is a tail and ears, which have the bonus of being really cute. Only problem is with the heat coming from walking around in that thing, but there are some fursuit concepts that can be built with venting in the head. Truthfully, I'd love to have or at least try on a fursuit because I'm a dork and like to play costume dress-up when possible. However, due to insufficient money and the fact that my furry life is a secret, I can't get or make one currently. If I were to ever get one, which most likely won't happen due to what I stated above, I'd want it to be skintight because I don't like the wrinkles. So I'd have to make mine which I don't have the time for since I have a current large scale project going on at the moment. Any examples of these? I'm not sure I've ever seen one. 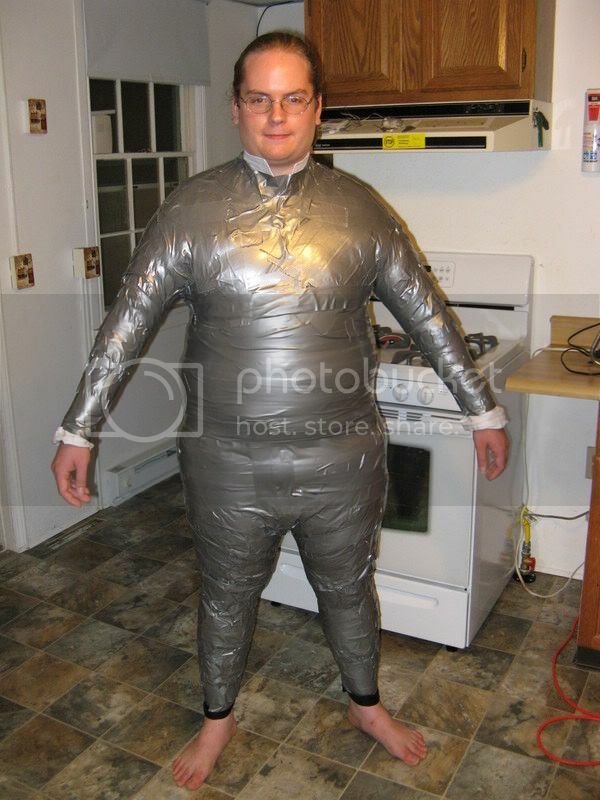 What, a tight-fitting suit, or a duct-tape dummy? Ok, well, here's a few fitted fursuits. Keep in mind that there will always be a small amount of wrinkling at joints, since synthetic fur material doesn't stretch. As for what a duct-tape dummy looks like, I found a couple photos, not many good ones though. It's official I've changed my mind. *giggles* What made the difference? I think I may have seen stuff like that before, but not really taken in how relatively form-fitting they were. Wow, those were some pretty wicked fursuits. Now my desire for one has like, folded 10 times over. Being a fursuit builder I found this thread very amusing. After I finish my current project I think I will make one for myself. I likely won't though because I have to wash the rest of my scales for the cloak I'm making. And that part alone will take some time.